You heard it here first folks, Jaftex Corporation has announced their intent to purchase the one and only FreeSpirit Fabrics. Jaftex Corporation is a fourth-generation, family owned business based in New York City. 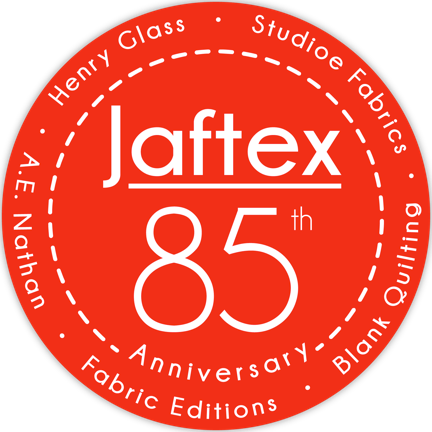 Other names under the Jaftex umbrella include Henry Glass Fabrics, Studioe Fabrics, The Blank Quilting Corp., Fabric Editions, A.E. Nathan Co., Inc., and now, FreeSpirit Fabrics. FreeSpirit Fabrics is known for their trend-setting artists including none other than Tula Pink and Anna Marie Horner, of whom you can catch at the International Quilt Market this spring in Portland, Oregon, along with the unveiling of the “new” Free Spirit. There Horner will also be hosting a schoolhouse on her new conservatory program. Outside of Tula Pink and Horner, FreeSpirit is known for their unique collection including Kaffe Fassett Collective, The Original Morris & Co., Dena Designs, Snow Leopard Studios, Jennifer Paganelli, Heather Bailey and more. FreeSpirit was previously under the Coats family, which is known for providing services to the apparel, craft, and footwear industries. FreeSpirit can be found in many fabric stores, and are known for providing quality fabrics that inspire young and old creatives alike. Jaftex Corporation intends on remaining true to the FreeSpirit brand and cause minimal disruption in the marketplace for what FreeSpirit customers have come to know and love.